Here is a short network-101 which shows some basics about wireless networks, Accesspoints and general Network infrastructure. Each device in a network is identified by a unique number, the IP-Address (https://en.wikipedia.org/wiki/IP_address). The network can be wired, or wireless. The IP-Address can be set manually or can be provided by a DHCP-Server. Usually a device obtains an IP-Address dynamically from a DHCP-Server. When connecting to a wireless network usually a device connects to an accesspoint (AP), which is identified by a “Service Set Identifier” or short SSID (The network name is also called ESSID: “Extended Service Set ID”). SSID/ESSID are the WiFi-Network names. A device can connect to an AP. Most the AP is secured in some way, so that the device has to send credentials in order to connect to that accesspoint. A device also can be an AP. In this case the device sends out it’s SSID to let others know it is there. It also handles requests from connecting devices and check credentials. Once a connection is established the connecting device may ask for an IP-Address. 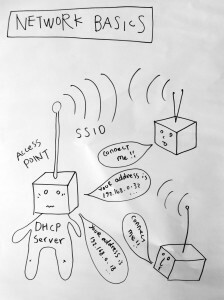 When an IP-Address is requested a DHCP-Server at the AP is providing a unique IP-Address for the requesting device. 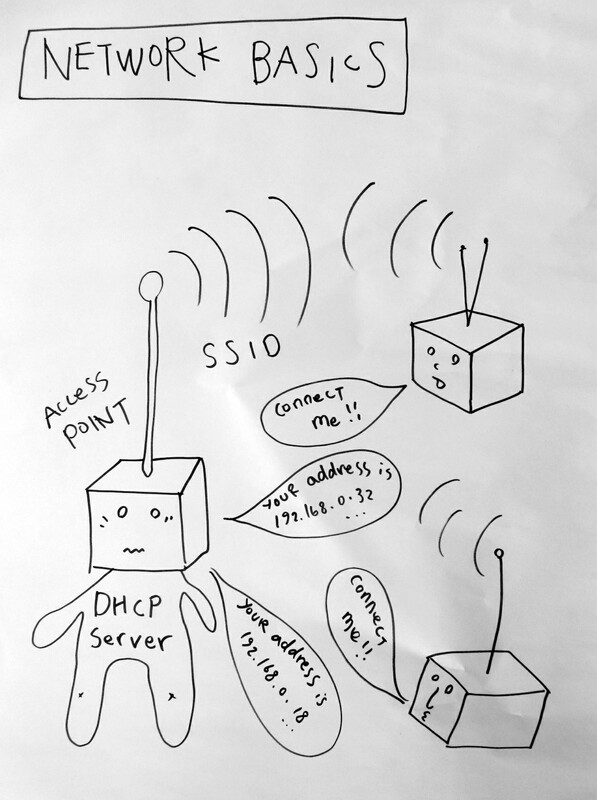 The DHCP-Server also provides a netmask and another IP-Address, which is the gateway. As mentioned above, a device can also have a manually configured IP-Address (netmask and gateway). In this case the connecting device does not ask for an address. 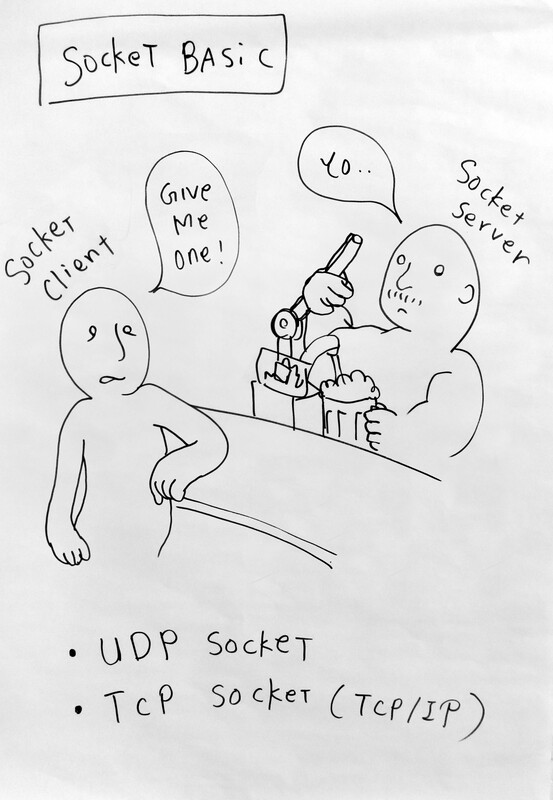 The client–server characteristic describes the relationship of cooperating programs in an application. The server component provides a function or service to one or many clients, which initiate requests for such services.